The great photo to the right depicts the Jack Russell Terrier personality as we long time owners know it to be. They do become more like a human than an animal when you've been around one for even a short while. I even find myself concerned about my dog Jimbo's mood, as I would a person I care for, because he has mood swings like humans. Some days he seems kinda blue, other days he can be overly hyper and obnoxious. But there's also another side to the Jack Russell Terrier temperament that we owners also know all too well...his 'Napoleon Complex' side, or 'Little Ceasar' gangster side. He seems completely oblivious to his small size. It would almost appear he fancies himself a full grown Boxer or German Shepherd...and God help us if he were. In any case, his size does not engender any low self-esteem problems, in his own mind anyway...and this is typical and the epitome of the Jack Russell Terrier personality. He's kinda like a James Cagney or Eward G. Robinson who were extremely short but packed a really tough exterior, making all other tough guys cower in their presence. 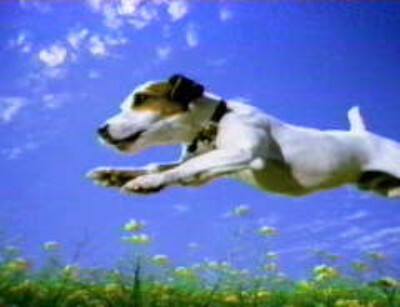 But while these guys were tough on the Big Screen, Jack Russells are the real thing... and they ain't actin'. They can be just that tough, an integral part of the Jack Russell temperament. They were bred to be. These are working dogs and they were created to go under-ground and flush out the meanest fox. And they loved their job and served their masters well. I couldn't believe what I found in this ebook. I didn't know that I was feeding my Annie poison. You won't believe what you're going to find out either. I can't recommend Dog Food Secrets enough to anyone who wants to know the shocking truth behind commercial dog foods. To read more just Click Here! So while the picture at the top of this page and the gangsters just above may not seem to jive in creating a comprehensible picture of the Jack Russell Terrier personality, it does in fact show the dual nature of this fascinating breed and what makes him so human. 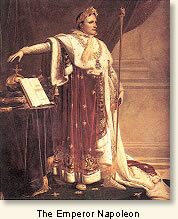 On one hand and in one moment he's Napoleon. 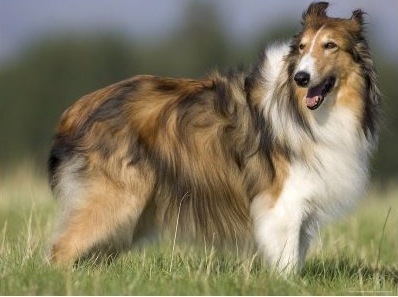 On the other hand and in another given moment... he's Lassie. the arrogance, and worth it right down to the last cent. Because what you get back is a dog with dynamics that keeps you laughing, keeps you running, keeps you loving...loving him right down to the very last Napoleonic 'Tic' of his amazing Jack Russell Terrier personality.